Rising North was an impact fund of 1.5 million euros granted to support the Nordic startup ecosystem through pan-Nordic initiatives during 2016 – 2018. Look, learn, and get inspired by the 40 projects by 97 Nordic organisations. 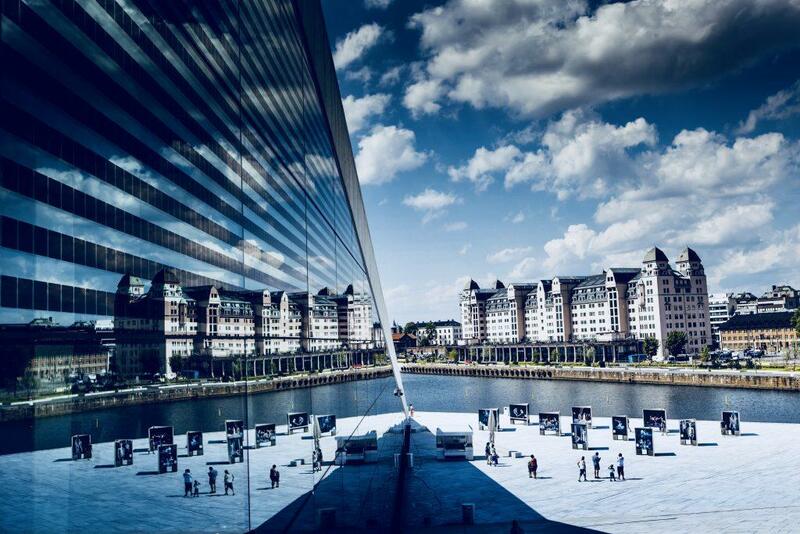 The Nordics is a hotspot for corporations looking for innovative partners. The idea of these meetups is learn about open innovation from real life examples as well as make the Nordics a single open innovation market for globally established companies. In total, 680 participants attended the events, including over 150 people of open innovation from corporations. The General Terms for Open Innovation Contests were co-created together with corporate managers, startups, lawyers, and industry operators and it aims to standardise open innovation agreements. 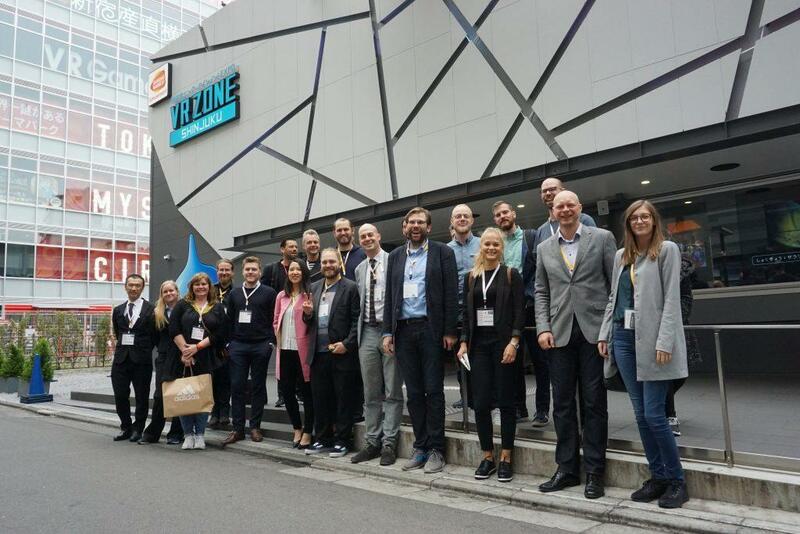 #NordicMade to Hong Kong brought 15 startups from the Nordics to explore the dynamic business environment in Hong Kong and Shenzhen. 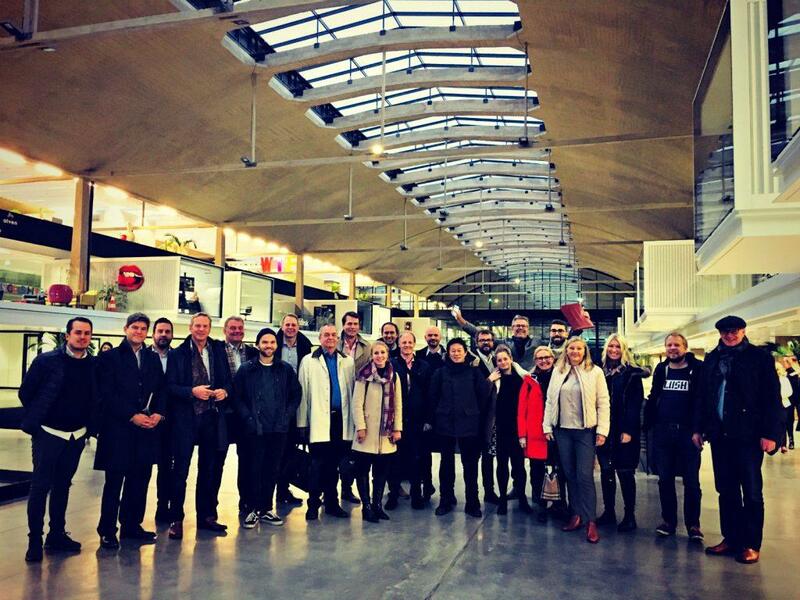 The group visited some of the world’s leading startup hubs, investors and local companies. 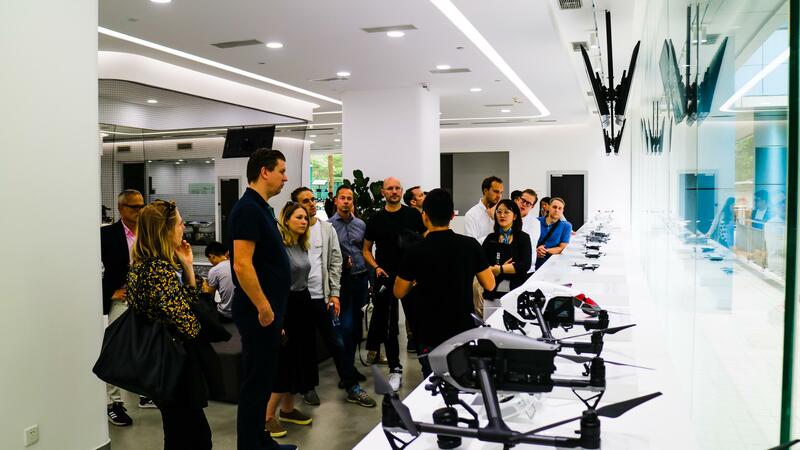 The tour aimed to identify and support Nordic startups that were interested and ready to grow their network and business in the Asian market. The tour helped expand the startups’ network and business to China and gave opportunities to develop new partnerships that could drive their business further in the world’s changing and competitive climate. The Creative industry in the Nordics is fragmented, under-connected and misaligned on interests. The few projects that happen on a Nordic level are short-term, leaving an underdeveloped Nordic region that lacks a strong “Creative Brand”. 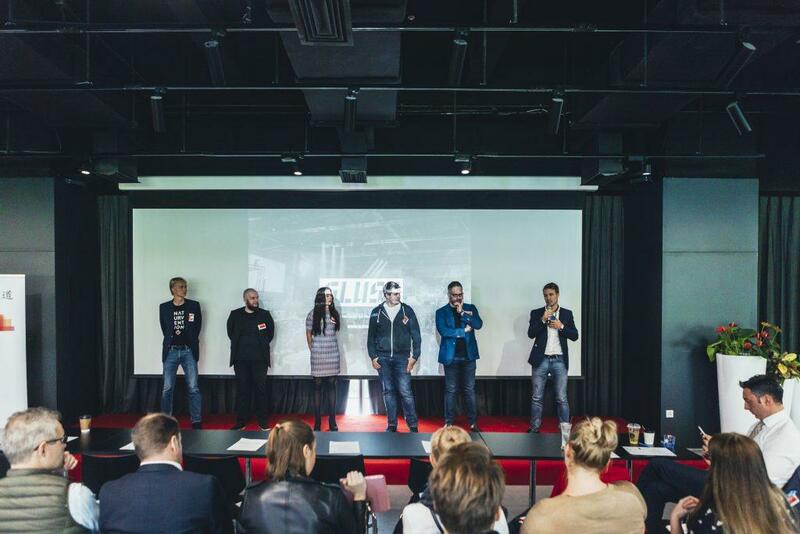 Secretsauce aim to unify and strengthen the cooperation among the creative industries in the Nordics. 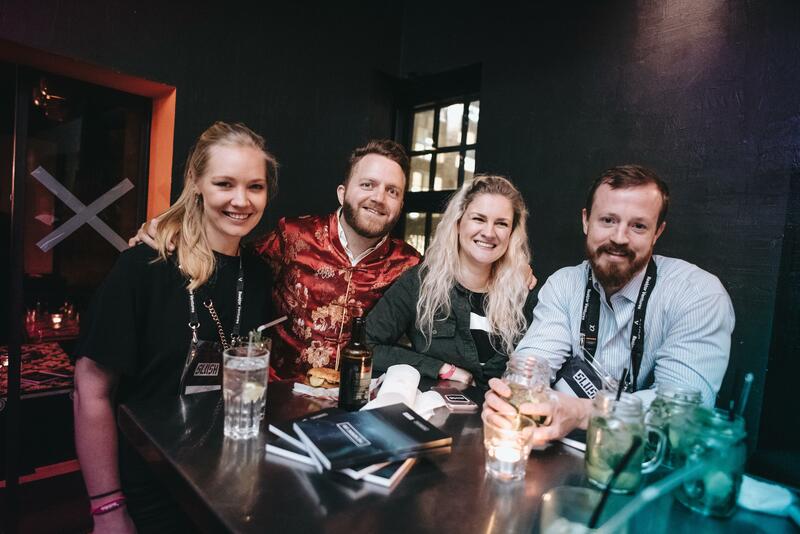 In 2018, secretsauce gathered over 300+ leaders within the Creative Industries by organizing 2 events and as a bonus, launched a Digital Platform called Nordic Creatives with the purpose of gathering all the creative industries in all 5 Nordic countries under one strong brand. Nordic Roadshow is a series of fundraising events that aims to make cross-border seed-round fundraising as easy as possible by gathering Nordic startups and investors under the same roof. 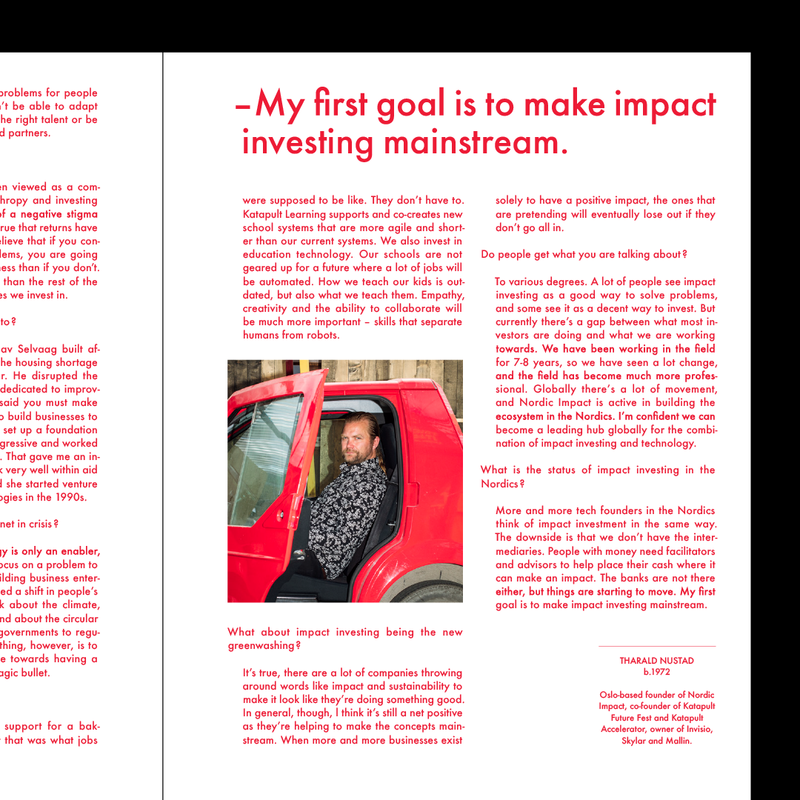 Through in-depth interviews, ​The State of Impact booklet hopes to inspire more investor and founders to change their efforts to solve problems instead of creating new ones. 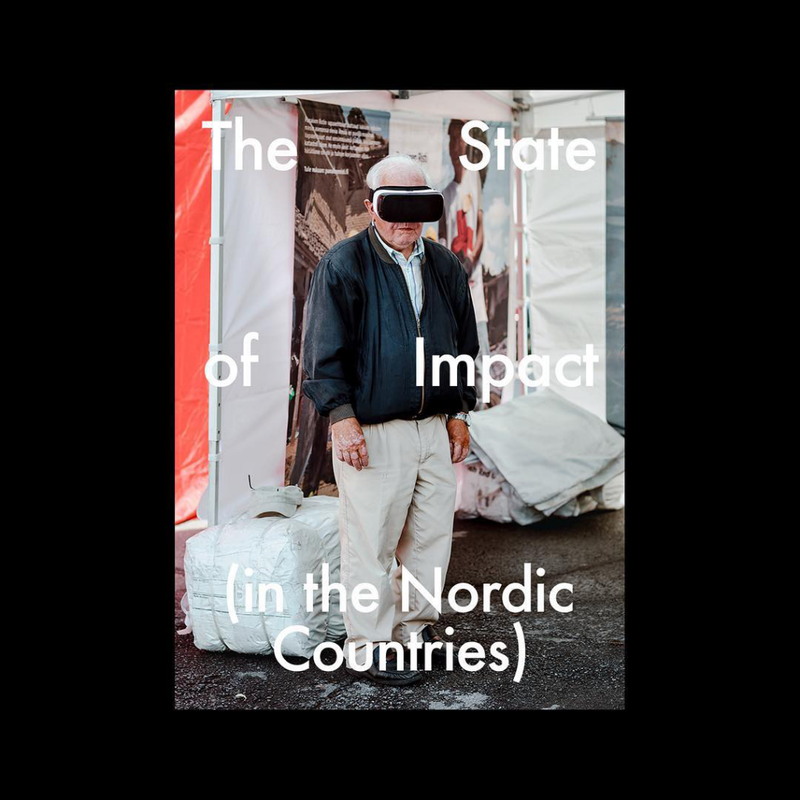 The purpose is to truly build a strong fundament of founders and investors that can focus on making the nordic region a hub for conversations on using technology for good and making impact investing mainstream. ​The booklet presents a narrative for the region that can nurture collaborations within new industries and markets that make solutions for a better world. There is a rapidly increasing interest for impact investing in the world and thus a rising need for education and facilitation around impact investing. The goal of the network is to help to direct more capital towards impact tech ventures and to demystify impact investing. The goal of the network is to position the Nordics as a leading global hub for fostering and investing in impact startups. In order to accomplish this, NIIN connects the impact investor ecosystem across the Nordic countries. The network offer a platform to network, inspire and educate each other and connect with the impact tech startup scene. This is done via different online and offline initiatives. A new report on the state of Nordic venture capital market shows strong optimism in the Nordic venture capital market. The report and the featured website, are aimed at Nordic policymakers, investors and startups to grow their understanding of the Nordic venture capital market. The main goal of the project was in one hand to create a pan-Nordic communications tool focused on the development and impact of the Nordic venture capital market, and an advocacy campaign around it to tackle challenges related to the region’s policies. On the other hand, to create a pan-Nordic resource for promoting Nordics as an attractive hub for global capital flows, talent and growth companies. The Nordic Game Jam have 12 years of history, and is one of the longest running and largest game jams. Nordic Game Jam is five days of networking, learning about game creation, and how to start your game studio. The idea behind Nordic Game Jam is to create a holistic event where both veterans and newcomers can meet network and focus on both the development as well at the business side of game creation in a friendly and open atmosphere. From being a only a game jam, 2018 the event added a whole new conference day with only the focus on the business side of the game industry. What’s the region’s secret sauce? 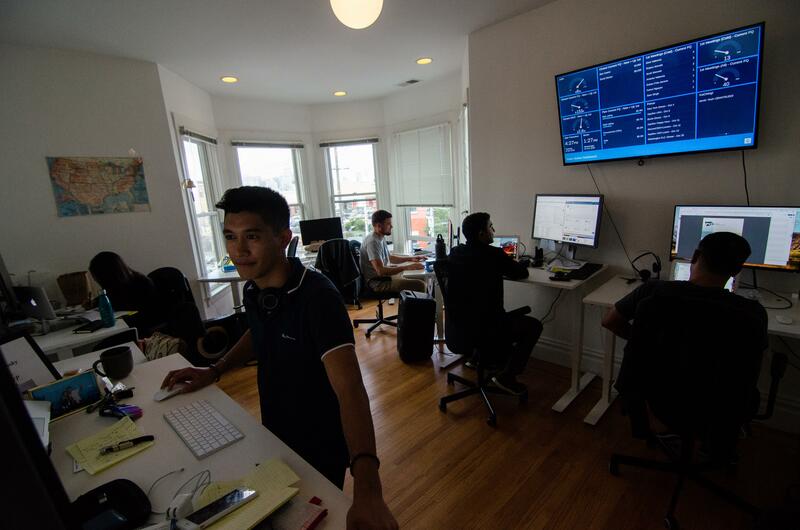 What can we learn from their entrepreneurial culture? How can we get a peek into the people, places and players fostering the ecosystem’s impressive growth? What are the pros and cons of starting up in one Nordic country compared to another? 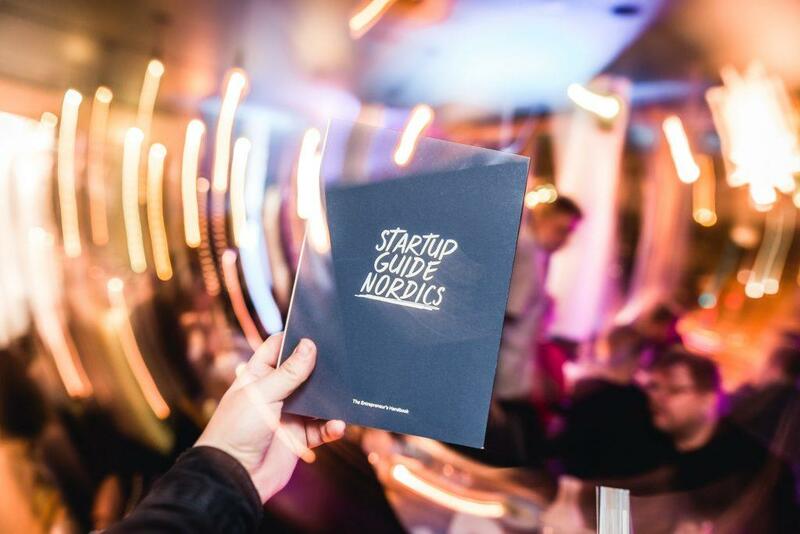 Startup Guide Nordics is the first insider’s guide to exploring entrepreneurship and innovation in the Nordic region. The handbook cuts through the clutter to give you essential data, insights on major trends, inspiring stories and in-depth interviews with the movers and shakers in the Nordic ecosystem. It will also put a spotlight on the unique culture and approach to innovation in each Nordic country. 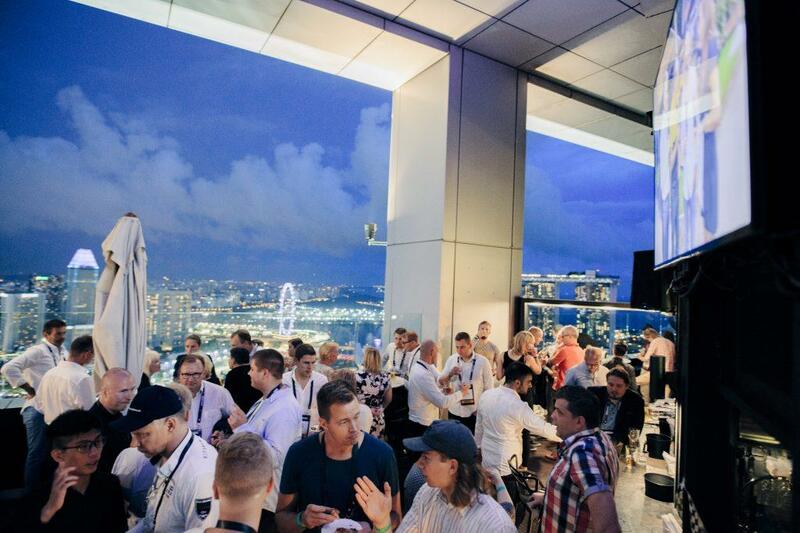 Four Nordic startup hubs took Nordic startups to Slush Singapore right after Formula 1 competition. 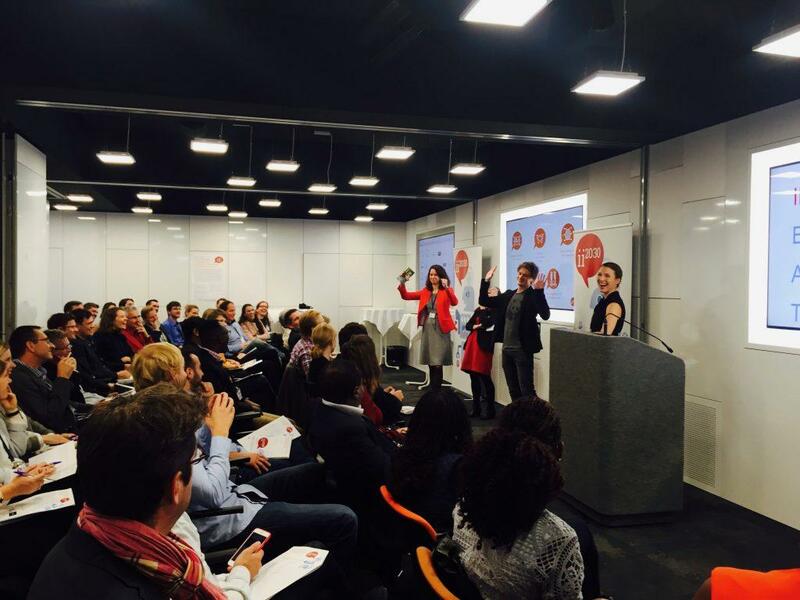 What happened was a mix of networking, pitch competitions, community meet-ups and some pool parties too. 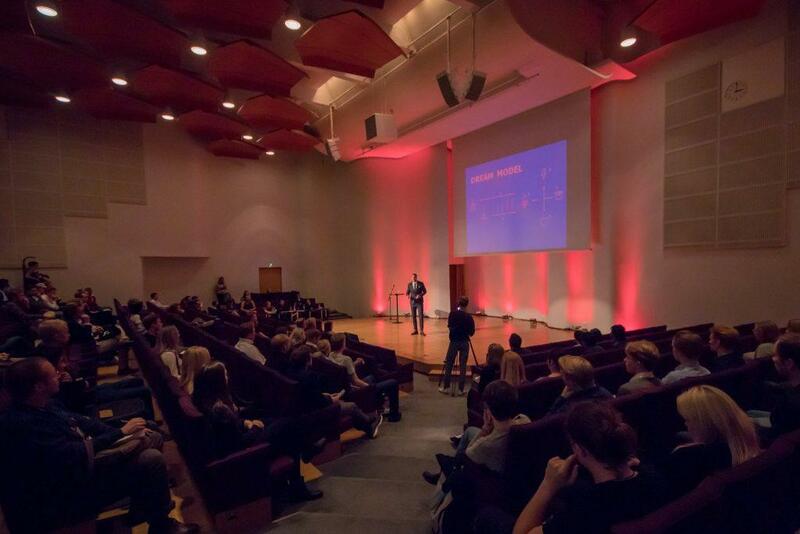 Nordic.AI Festival brought 170 Nordic professionals in artificial intelligence together and the discussion went much deeper than painting future aspirations, and focused instead on the ethical and practical questions of the new technology. The aim of the Nordic.AI Festival was to dissolve the present day infatuation with technology and refocus on what is really important: quality of life. 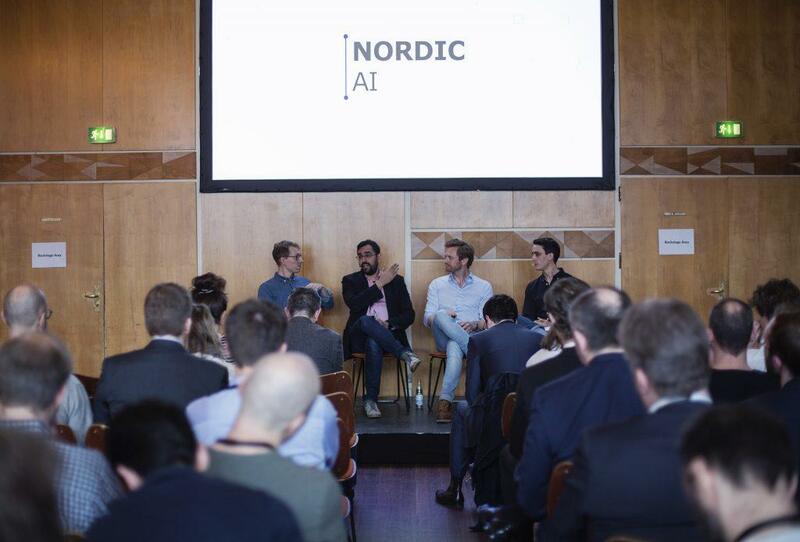 The Nordic.AI festival was Nordic.AI’s first step towards achieving its mission, bringing together leading AI innovators from across the Nordics and greater Europe to discuss how to design a smarter world to meet the challenges of tomorrow. The event was invite only, aimed at those already contributing to and working in the field of artificial intelligence and machine learning. Read about the talks in this blogpost. The Nordic Showcase in Shanghai presented the best the Nordics have to offer to the leaders of the soon-to-be largest economy in the world. The Nordic startup ecosystem has been endorsed by some of the leading thought leaders around the world, including Wang Yang, Vice Premier of China (2014), and Wang Jian, Chairman of Technology Steering Committee at Alibaba. The aim of the trip was to further strengthen the ties between the Nordics and China and explore the Chinese market. In September 2017, 53 techies from 12 Nordic cities biked together for 460 kilometres from Copenhagen to Berlin to foster collaboration between the Nordics and Berlin. New friendships were made and over 75 000 euros raised for charity. 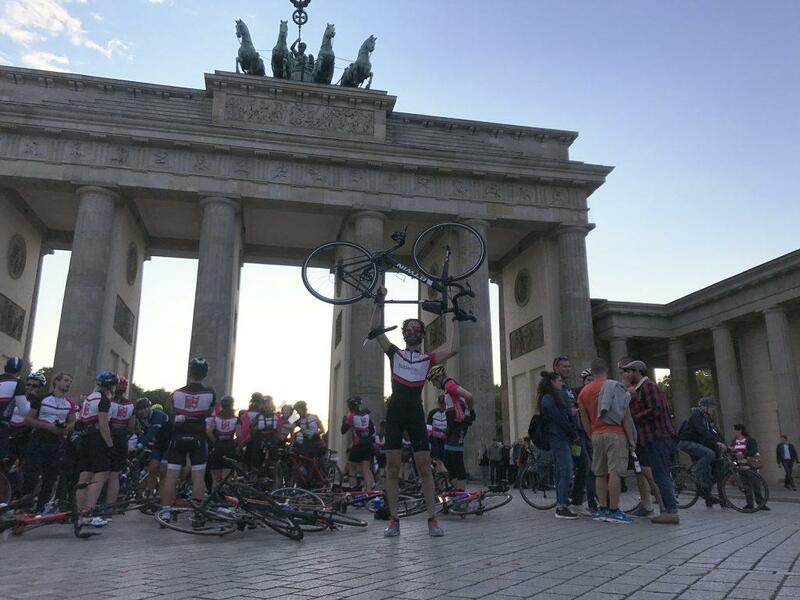 53 Nordic techies including startup founders, investors and people from the surrounding ecosystems from 12 countries had one mission only, and it was to make it by bike to Berlin in Germany. By bringing Techbikers to the Nordics, the organisers wanted to increase collaboration between investors and startup founders on a pan-Nordic level while emphasizing the bridge to Berlin.People that were mainly strangers to each other before now call each other friends and keep the conversation going in social channels and peer to peer channels. 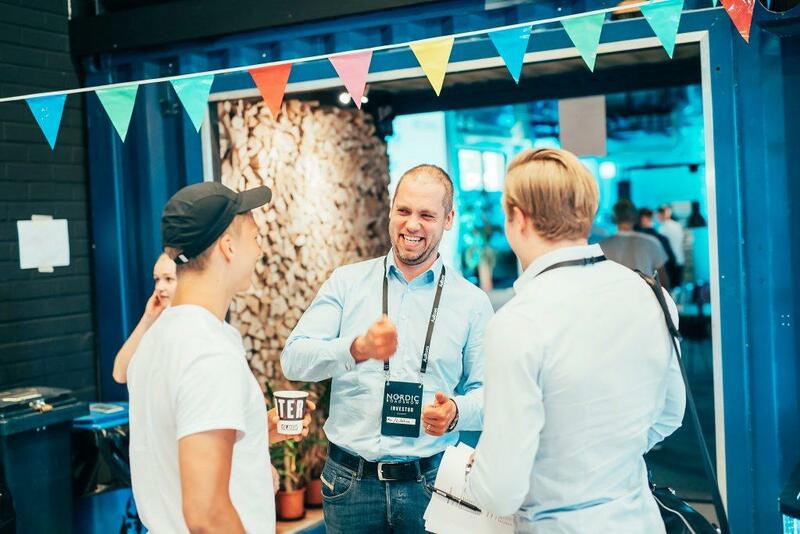 “We need to get our politicians to be more supportive on scalable talent-focused immigration laws, so we can get high growth tech companies to keep their HQs in the Nordics,” – Investor at Northzone. Talk The Talk aim to create a joint Nordic movement to radically change attitudes towards public speaking. Public speaking is as a skill and aim towards cultural and social change in the methods to cater the skill. Unfortunately, Nordic founders stereotypically are not the world-class representatives in public speaking and pitching. Change is coming. 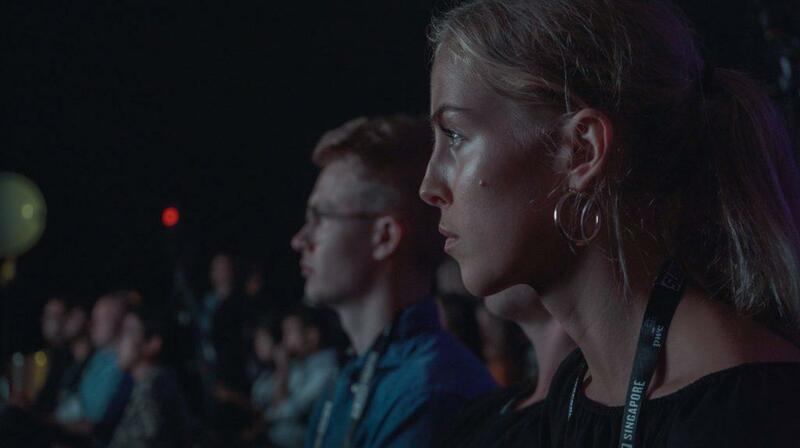 Talk the Talk gave a platform for Nordic entrepreneurs to practice their skills and learn how to be a better speaker in front of thousands of people. 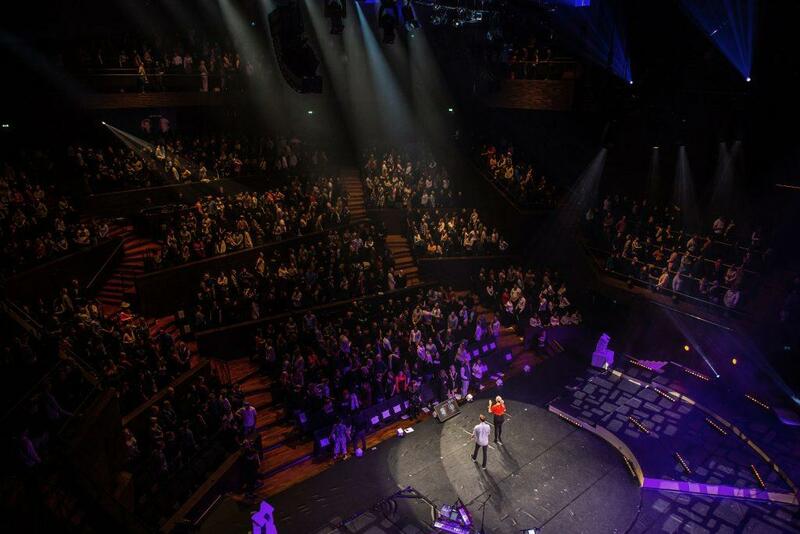 Take a look here at the finalist speaking in the Music Hall in Helsinki. 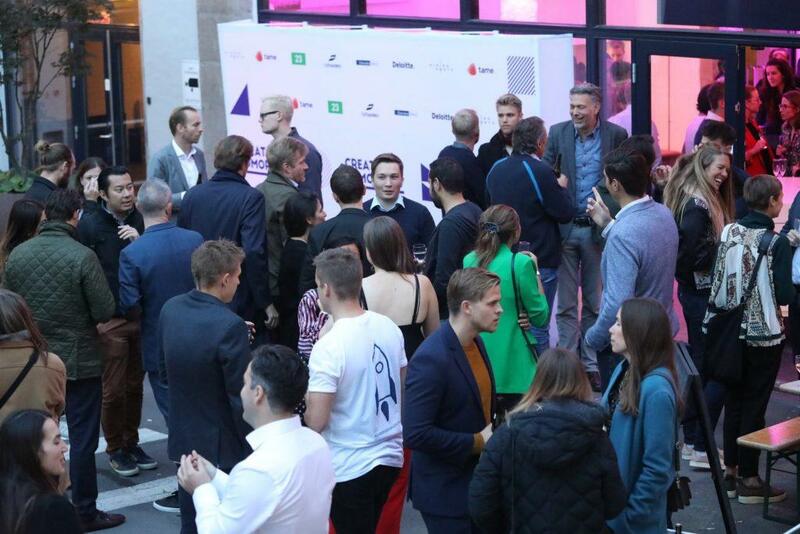 The Nordic 100 is an annual list recognising the 100 most impactful and influential figures in the Nordic tech scene each year. Individuals at the forefront of shaping and positioning the region as one of the world’s most important innovation hubs. The Nordic 100 serves as a resource to better understand who the key people from the Nordics are, providing an easy and actionable resource for engaging with the Nordic ecosystem all year round. This leads to increased investment, spotlight and interest in the Nordic tech scene. 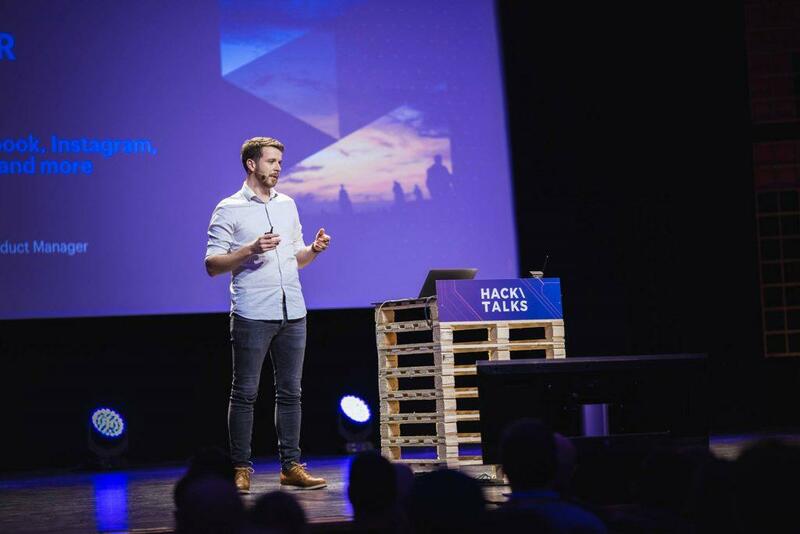 Hack Talks is a one-day high-tech conference with workshops and top-notch keynotes from the bleeding edge of technology and insightful and inspiring keynotes from technical experts in security, web, cloud and data science. The aim of the event is to bring the most skillful people under one roof to not only help them connect with each other and share knowledge but also to educate them through the workshops and keynotes that our frontrunner speakers held. At Hack Talks the latest technology is showcased. This provides a great opportunity for the attendees to learn and reflect on their learnings. 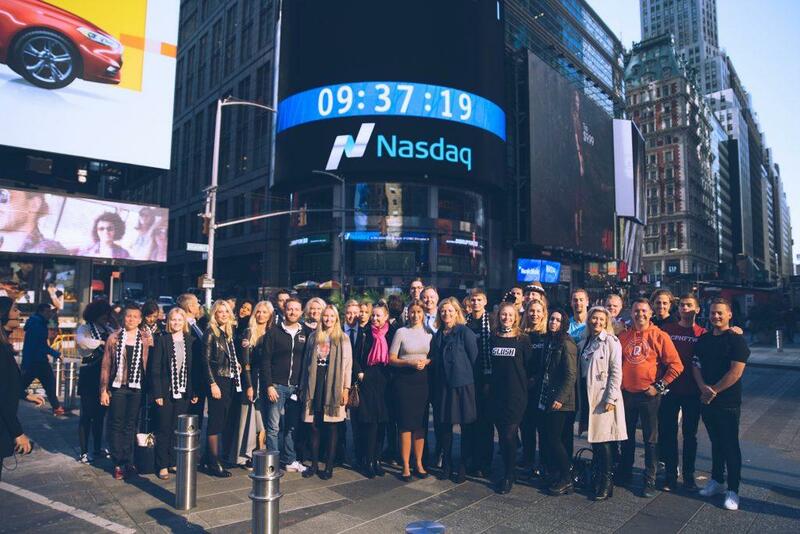 The US media and businesses couldn’t help but to notice the #NordicMade entrepreneurs ringing the NASDAQ bell and talking about their businesses. 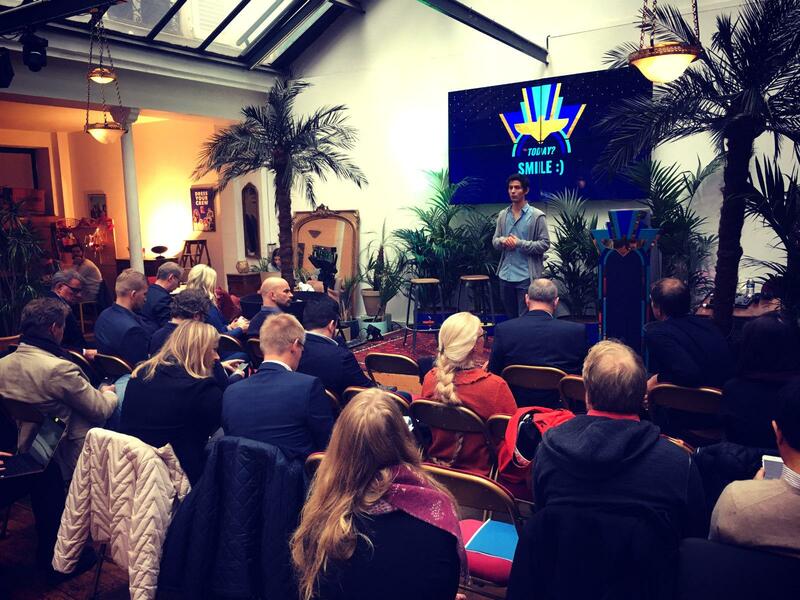 Slush, the leading entrepreneurial movement in Europe and Asia, together with the most prominent Nordic community leaders, brought 11 startup founders to New York on October 11–13, 2016. During the three-day #NordicMade trip, the next Nordic baby unicorns were showcased to East Coast venture capitalists and tech media. Singapore Startup Excursion was a joint venture between the university entrepreneurship societies in the Nordics. The project took Nordic university startups to Singapore for two days of hectic program. The also visited the Slush event that took place at the same time. The aim of the project was to connect Nordic startups with the Asian market and promote the Nordic startup ecosystem as a powerful region. 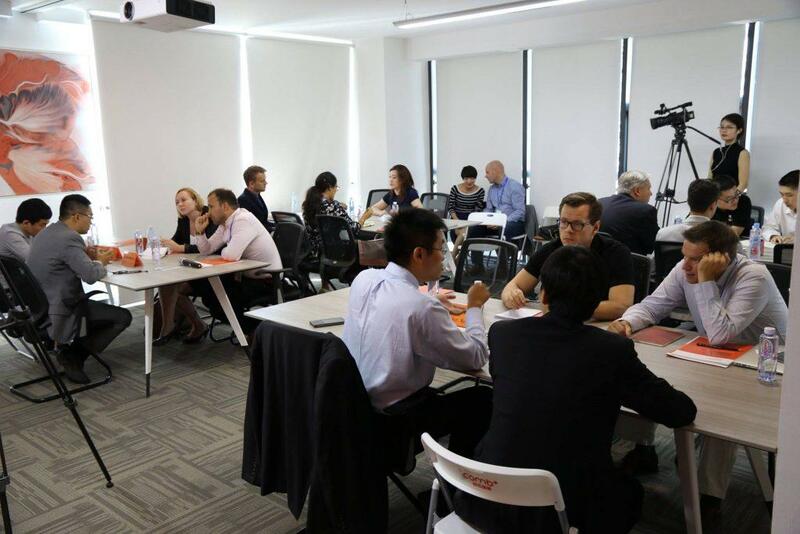 The participating startups expanded their network and got acquainted with the Singapore startup ecosystem. The program was curated so that it met the needs of the participating startups. The Nordic startup scene is facing challenges when it comes to expanding on the market. The hands-on guide help companies to get an overview of the area. The e-book aims to guide and prepare Nordic start-ups, delegations and other key stakeholders traveling to Silicon Valley. The preparation package, provides access to the necessary insights and knowledge and gives the reader a chance to prepare and realise a higher output from the efforts of going to Silicon Valley. The book is relevant for all individuals traveling to the area and also provides US stakeholders with insights on the advice giving to incoming delegations. Nordic Kitchen helps Nordic food entrepreneurs to get their ideas and projects to market faster while spending less capital and understanding the barriers and opportunities in the food industry. As a food entrepreneur it is difficult to get proper mentors, facilities and general advice on the business side of the industry. 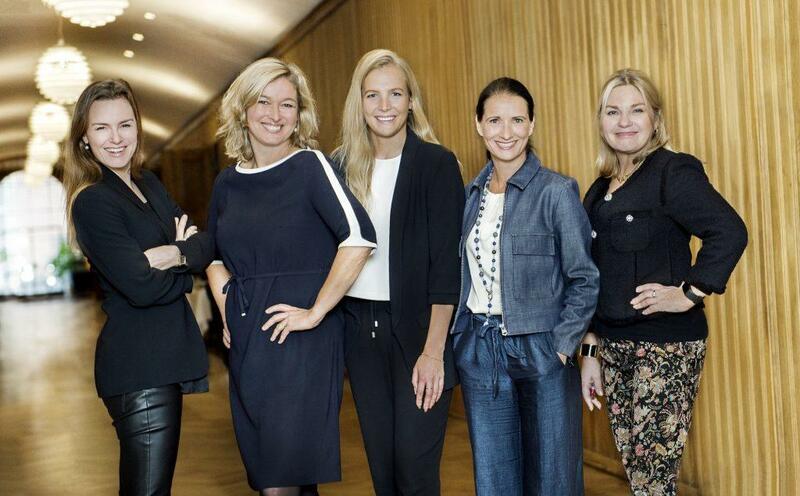 The Nordic Kitchen workshop was done in three cities in the Nordics. 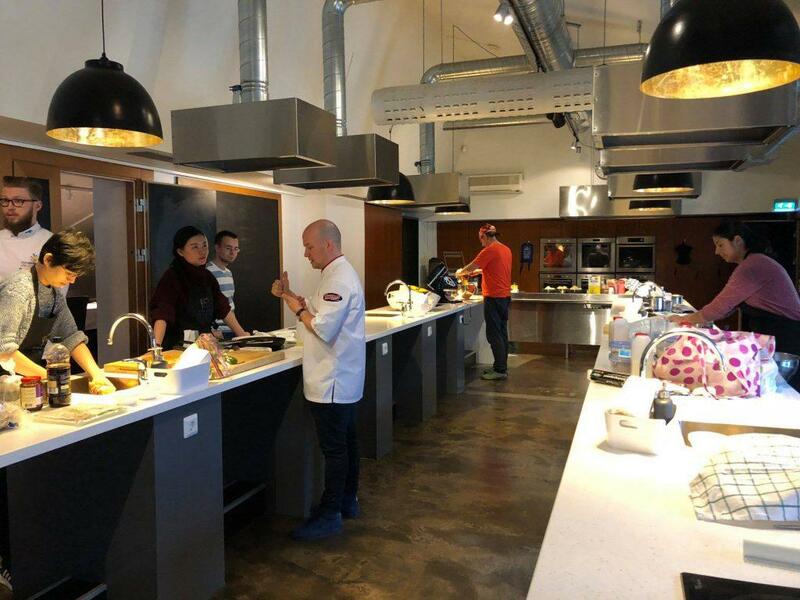 The workshops had a total of 18 mentors, all experts in the industry who gave valuable insights into the world of food, food-tech, entrepreneurship and how to run your company in the industry. 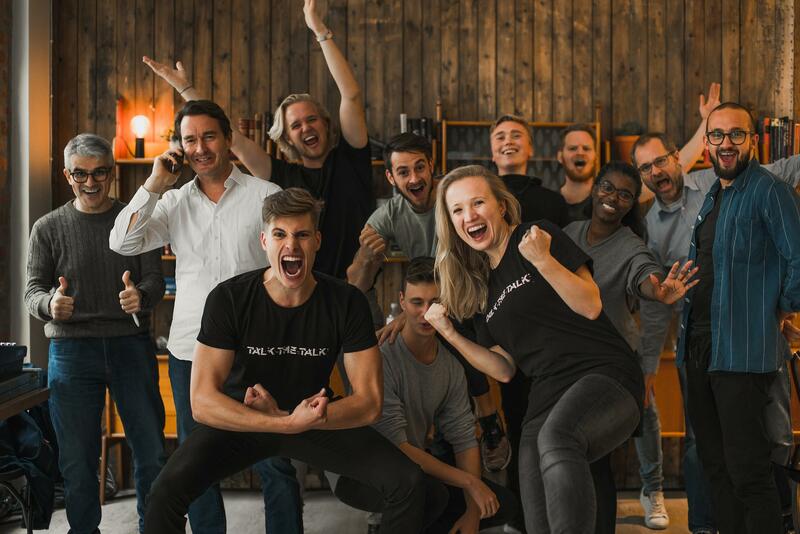 London is known for being a difficult market due to its size, prices and conservative business approach.The Canute programme help Nordic startups enter the UK through curated business meetings, VC visits and workshops around relevant topics. The goal is to create a long-term program, which facilitates networking for Nordic startups in to help them succeed in the UK market. The program arranged meetings with cool companies and investors such as Northzone Ventures, Salesforce Ventures, GoBoat, WeWork and many more. The program is continuing in 2019. Stay updated by following the website. The Nordic video game industry is a history of success and has developed into one of the world’s foremost regions for game development. The combined revenue of Nordic game exports in 2017 was more than three billion euros. In November 2018, Nordic gaming companies from five countries were flown to five Asian cities in China, Japan and South Korea. Over a less than two weeks, the Nordic delegation of game developers made more than 50 company visits. In China’s Shenzhen, Hangzhou and Shanghai, the group met with Tencent, NetEase, ZQ Game, and Giant Interactive Online, to mention a few. “With Rising North funding we could encapsulate experiences in a short period of time and with many participants. Spill-over effects included delegates forming tighter bonds and actual business partnerships” – Participant, Dataspelsbranchen. The Nordic region is already widely known for being one of the best places to work and live and as the frontrunner in technology, development and innovation while at the same time providing it’s citizens some of the best living conditions in the world. This project aim is to build the first Nordic press kit that can grow over time and spread the awareness about the region internationally. The content communicates this message in a context the suits a specific external target group, those who want to know more about the region. This is the first step in the creation for a sustainable platform with the purpose of promoting the Nordic region towards global talent within the the startup and innovation space. Move to Nordics is a platform where talented individuals that are considering moving to the region can find useful information about working in the Nordics, and an overview of available startup jobs in the region. Move To Nordics is a project that aims to create awareness of the Nordic Region and connect international talent with the Nordic Startup Ecosystem. Through the platform Nordic startups will have easy access to top tech talent in other European regions, the recruitment process will be easier. The platform also provides good-to-know stuff about all the Nordic countries on one single page. 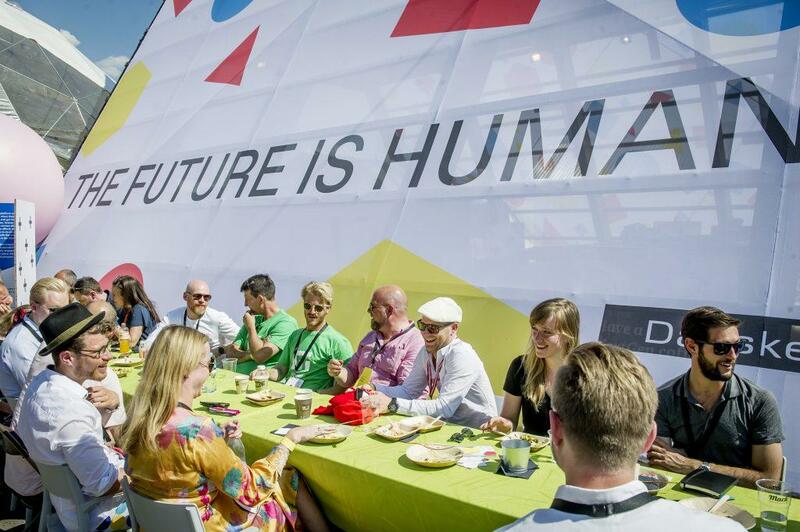 The Danish Design Centre, Design & Arkitektur Norge, Swedish Industrial Design Foundation and Design Forum Finland carried out two events during SXSW 2018 outside the official program with focus on the Nordic design DNA. The goal was to brand the Nordic design approach through a joint Nordic effort and presence at SXSW. The joint effort at SXSW Interactive strengthened the Nordic identity and brand in areas where there is an enormous global interest. 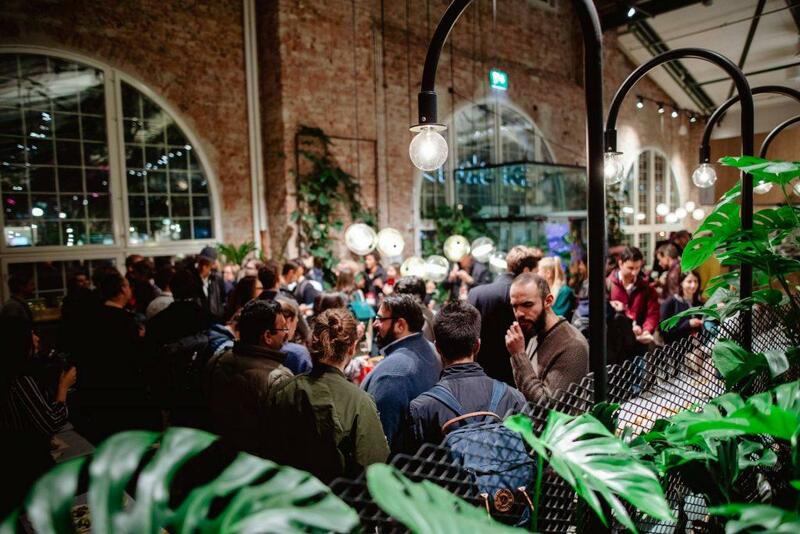 The Nordic effort created increased network of international actors, businesses, decision makers and designers and can be the basis of a solid collaboration and more ambitious Nordic promotion of design in 2019. Cross-border investments might be technically challenging and angels might not know each other well enough. By connecting the angels and discovering similar passions for industry and mindset, there is higher possibility for finding interesting co-investment opportunities. The startup portfolio presentation trips connects the Nordic angels with international investors and deep-dive into the European tech ecosystem. 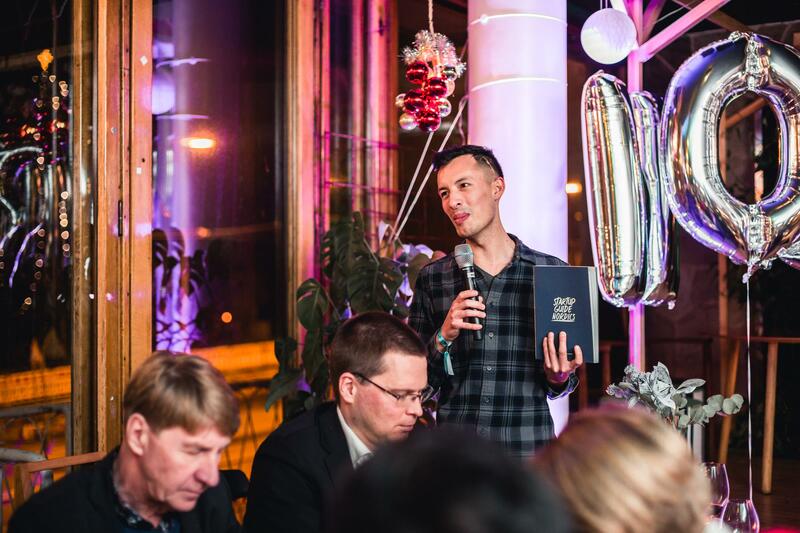 The aim was to establish a continuing concept, therefore, the main organiser, NordicBAN, a non-profit organisation connecting Nordic and Baltic angels, shared a guide on how to arrange angel trips as well as maps of the two cities and their key startup ecosystem players. TalkUp was a public speaking competition at FallUp 2017. The event was held to emphasise the importance of speaking in entrepreneurship, motivate to learn to impact through words, provide an opportunity to develop skills and challenge oneself. The goal of the project was to help students realise the power of words and presentation. The project wanted to make a positive and long-lasting impact on how our future entrepreneurs and the whole Nordics are seen abroad. 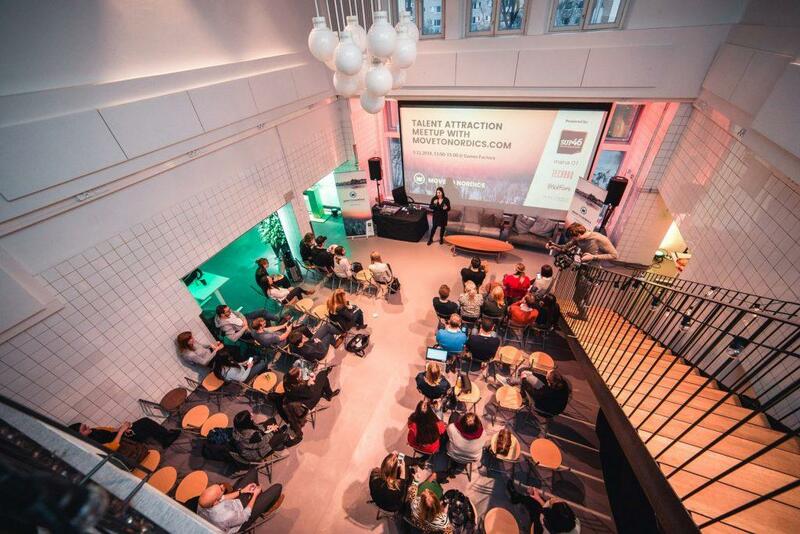 The event enabled tighter collaboration between the Nordic entrepreneurship organisations. Sino Track was a acceleration program, designed for Nordic companies that are interested in entering the Chinese market. The program offered a deep immersion into the Chinese market with themes such as market entry, legal and IPR issues, investment opportunities and marketing strategy. The accelerator have directly helped connect startups with VC’s through showcases, networking events and one-on-one meetings. The program resulted in an investment into one of the participating companies, Flexound, with deals for three other participating companies in the pipeline. The completion of these deals would mean that an impressive four out of twelve participants raise capital thanks to the project. Inclusion is one of the priority challenges of tomorrow. The Inclusive North project seeks to address these challenges by connecting the most promising Nordic startups with a global ecosystem that supports inclusive business -innovators, entrepreneurs and investors. Inclusive North was an eight-month project running from May to December 2017, with the purpose of supporting inclusive Nordic startups to innovate, find investment, get exposure and receive support from an international network – and eventually scale to achieve the results and impact they are striving for. This project enabled to look for mechanisms and structures for continued collaboration. Furthermore, it has also strengthened the collaboration with the Inclusive Business Accelerator (IBA), by the end of November, the project succeeded to have more than 15 Nordic startups registered at IBA! 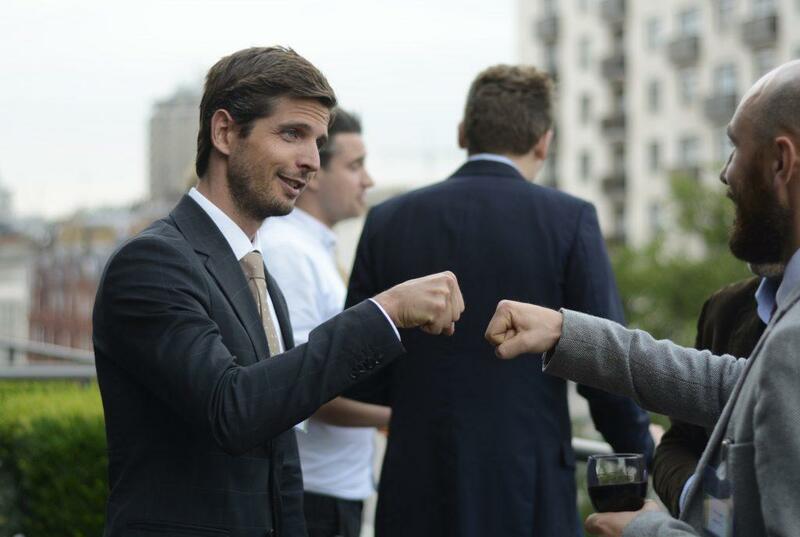 12 Nordic Business Angels selected 39 Nordic startups to pitch at the NACA pitch competition at TechBBQ. 10 were chosen to pitch at the semi finals. 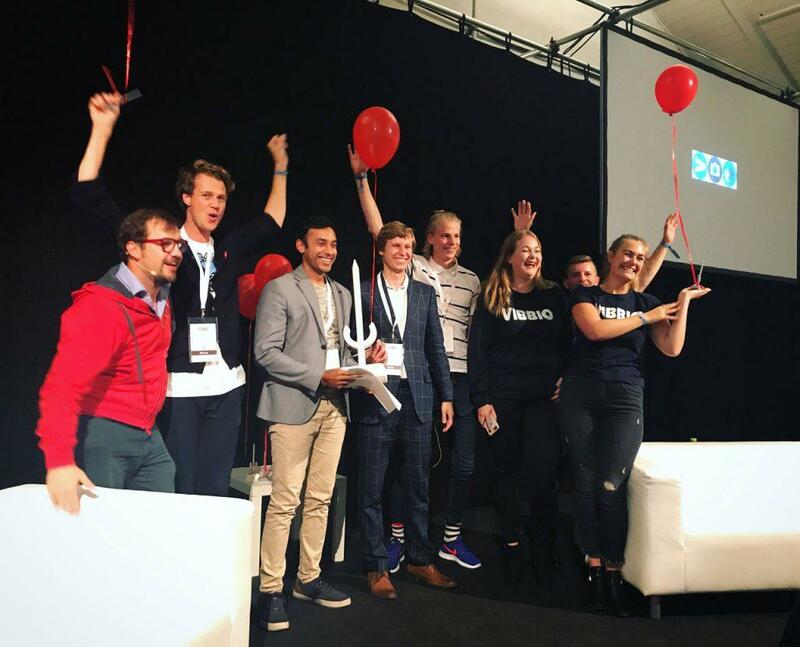 Five startups were selected for the finals and after a last pitch round, the first winner of NACA was found: The Swedish startup, Next Step Dynamics. The purpose with NACA was to create more cross-border Business Angel investments and highlight the role of Business Angels from all Nordic regions. 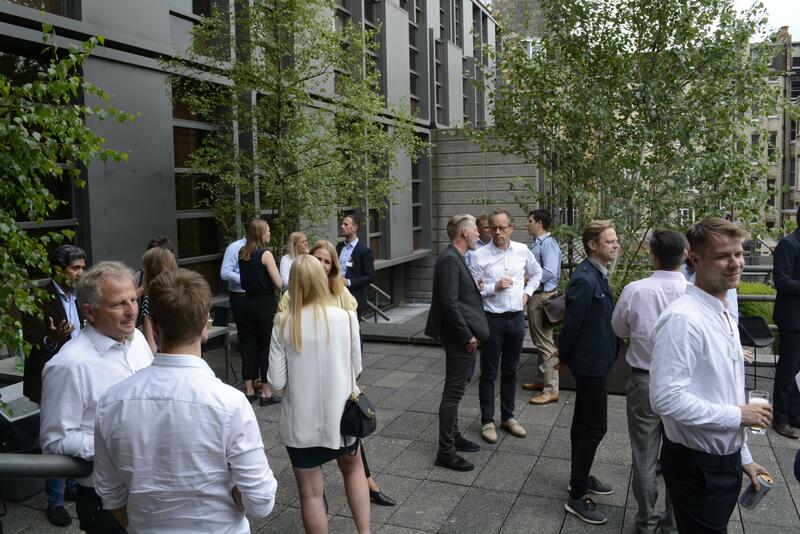 The goal was to bring together both the Nordic startups and the Nordic Business Angels and to highlight and showcase good Business Angel practice and foster investments and syndications across borders. The question is, how to attract the top international professionals, who can go almost anywhere in the world. The answer lies in Nordic values. The goals of the campaign was to get more talent to the Nordics. 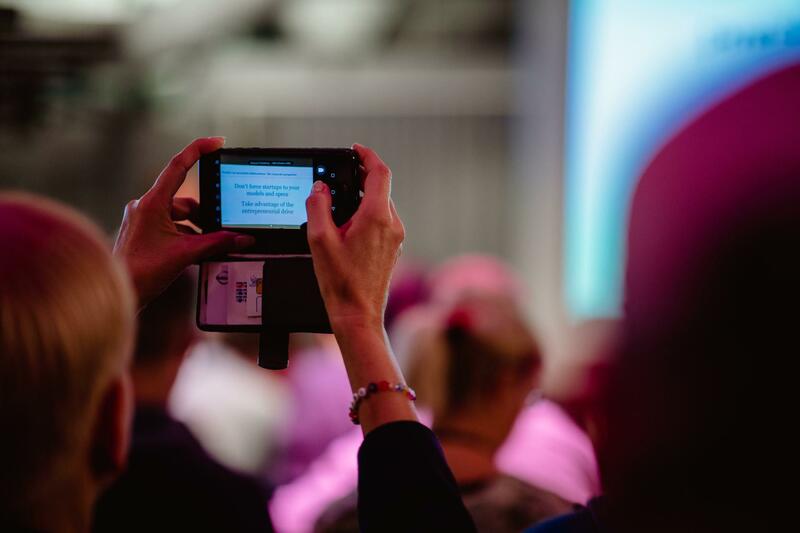 This was done by setting up the Nordic Talent Ambassador network – finding, selecting and training the ambassadors and co-creating media content with them. The idea was to brand the Nordic region as a career destination for tech and ICT talent. Locally, the campaign wanted the partnering cities to liven up their international community by seeking volunteers into the network. They got applications from nearly a 100 people. If you count all participants from the Nordics – it is the biggest group at SXSW after the US. Therefore, making SXSW Nordics can and will make the difference. In 2016, there was 4 days of intensive Nordic focused events at the Nordic Lighthouse as well as at the SXSW Interactive Expo. 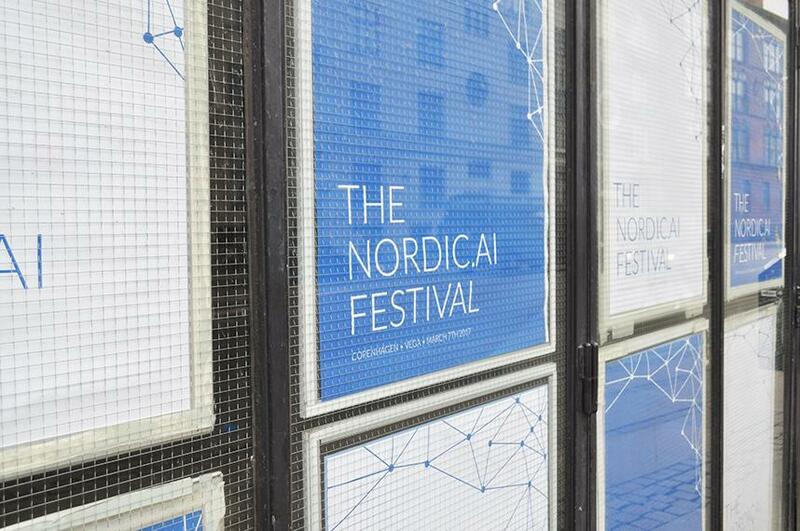 The program promoted Nordic technology, startups, music and film. 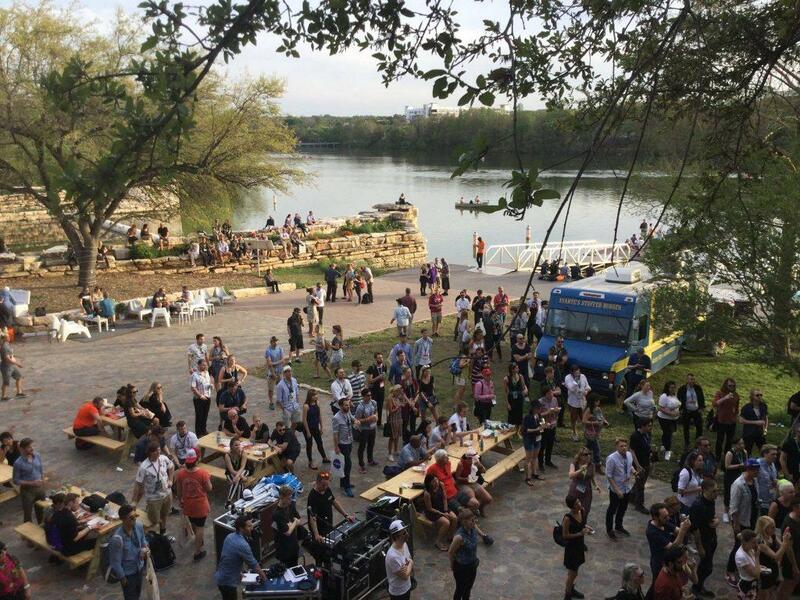 In addition, 30 startups from Nordics was brought along to promote their products and business at SXSW. 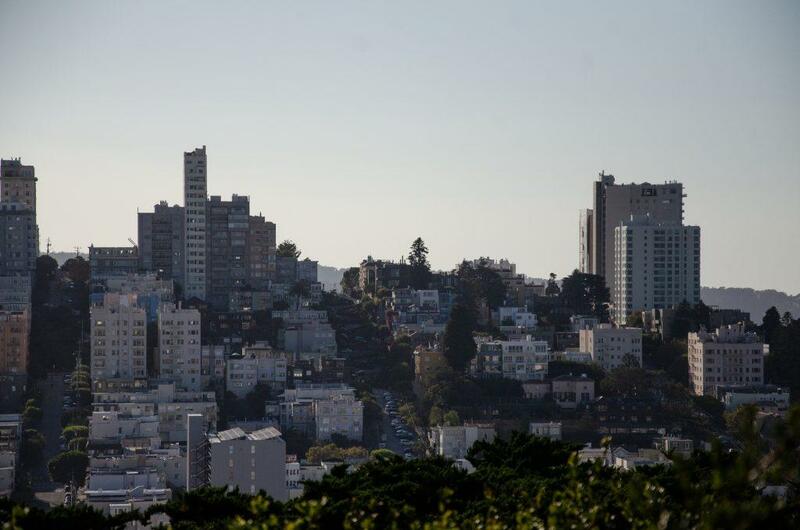 #NordicMade Showcase – West Coast U.S.
A Nordic delegation of entrepreneurs, investors and community builders was brought to San Francisco to connect the Nordic startup community to other relevant investors, media and industry professionals. During the trip, a Nordic Showcase event was arranged for 165 attendees a successful mix of startups, investors, media, community leaders, and other key players within in the local startup scene in Silicon Valley. The 15 Nordic startups pitched for the attendees, followed by an interesting fireside chat with Joel Eriksson, on investing in the Nordics. 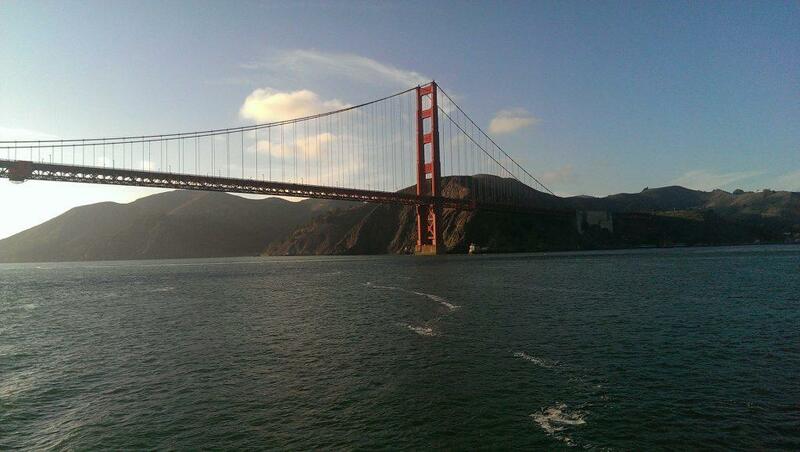 During the next two days the startups attended San Francisco’s largest startup event, LAUNCH Festival. VR Tour 2017 was a joint Nordic initiative to strengthen the Nordic ecosystems around VR and AR the ecosystems and business opportunities in Asia. China, in particular, is a go-to market for VR companies, thanks to its widespread VR arcades and huge population. 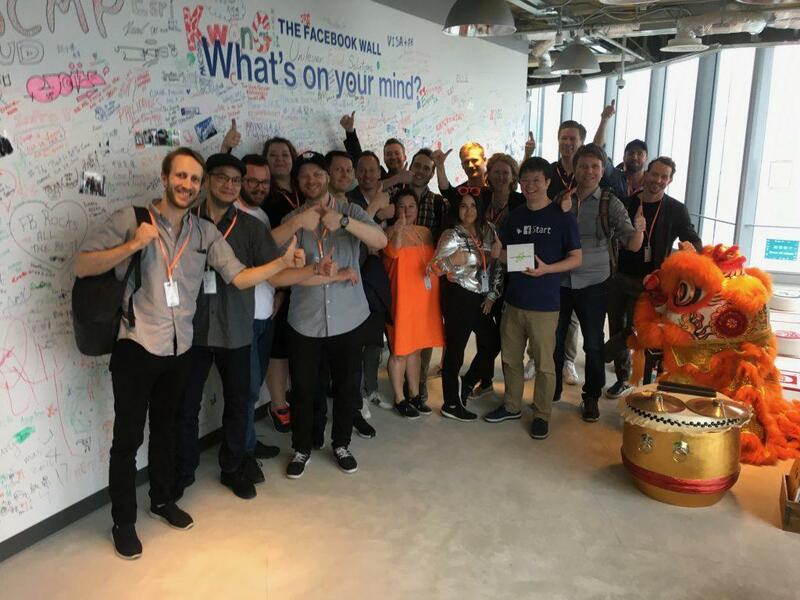 The tour aimed to connect the best Nordic startups, supporting ecosystems, companies and organizations that wanted to explore, learn and network with the VR-industry in Seoul, Beijing, Shenzhen and Hong Kong.The companies were introduced to studios, investors, distribution channels and other relevant companies in the area. Nordic startups from the San Francisco Bay Area were brought to Helsinki to meet Nordic based startups that want to expand to the US. 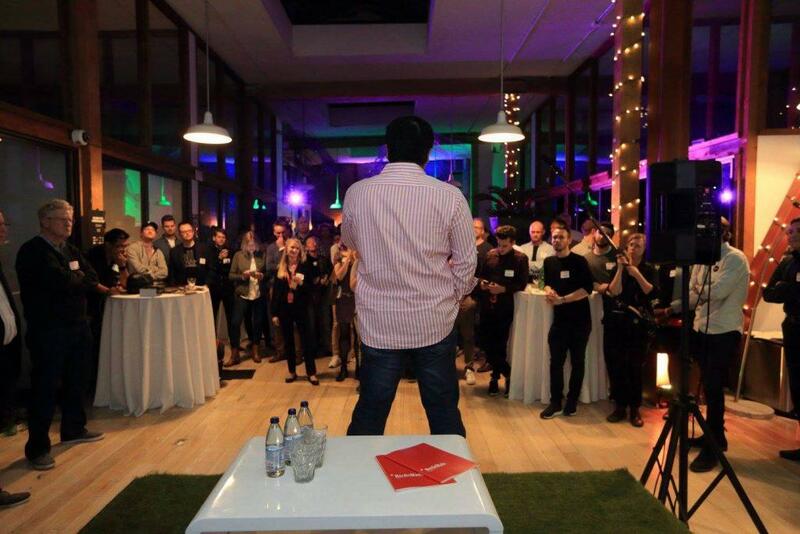 The aim was to help and inspire the Nordic startups to grow abroad. The project brought Nordic founders from the San Francisco and US to share their learnings on expanding to the US. To pass on the knowledge to Nordic Startups that couldn’t make it to the gatherings, the project made a booklet that answers to the most common questions that Nordic startups were asking about “How to scale in the US”. 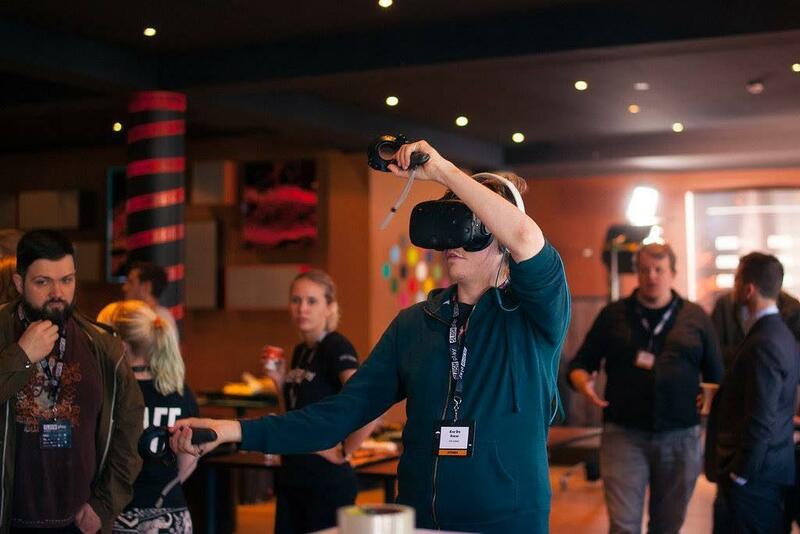 The project aim at creating breakthroughs in Virtual Reality by colliding national VR-ecosystems with a mix of students, VR professionals and VR researchers. 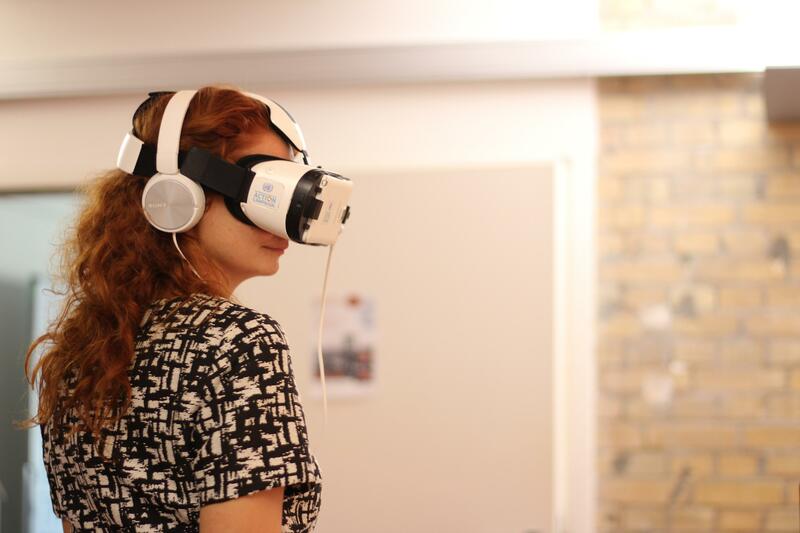 The VR-jam brought developers from all over the world to create innovative projects for two days in a row. 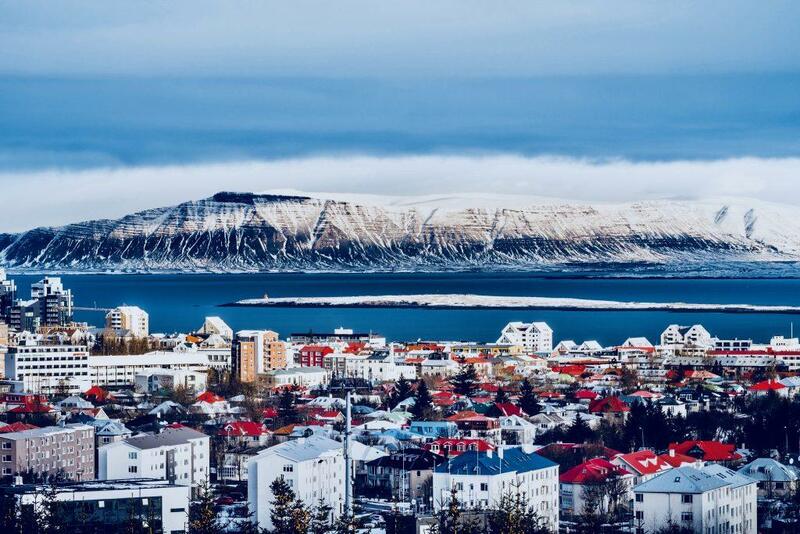 The jam in Reykjavik was free and open for anyone interested in the area and a great opportunity for developers to get started with VR with the mentoring and support from the experts in the field. The jam enabled new connections to be made between the global VR communities. 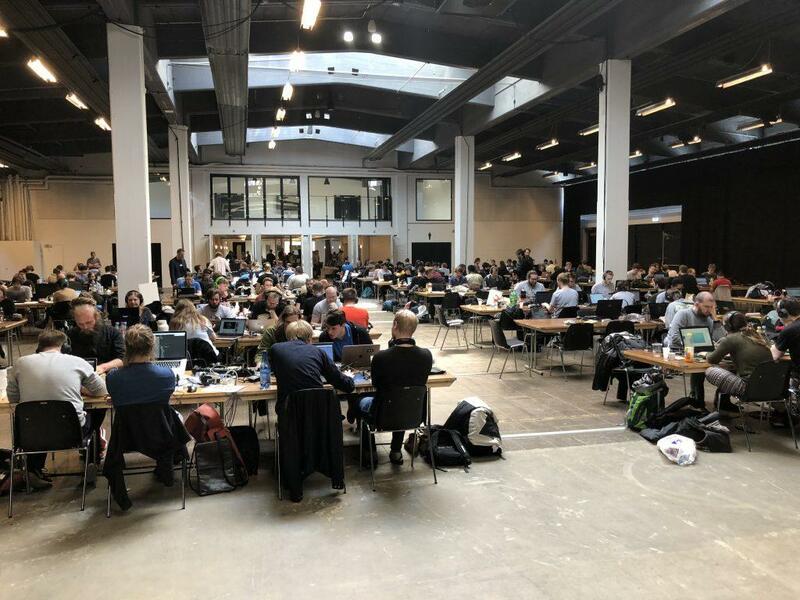 Nordic.AI Roundtables was a series of 5 targeted roundtables held at events around the Nordics to facilitate community building, knowledge sharing, and internationalisation of the AI ecosystem. 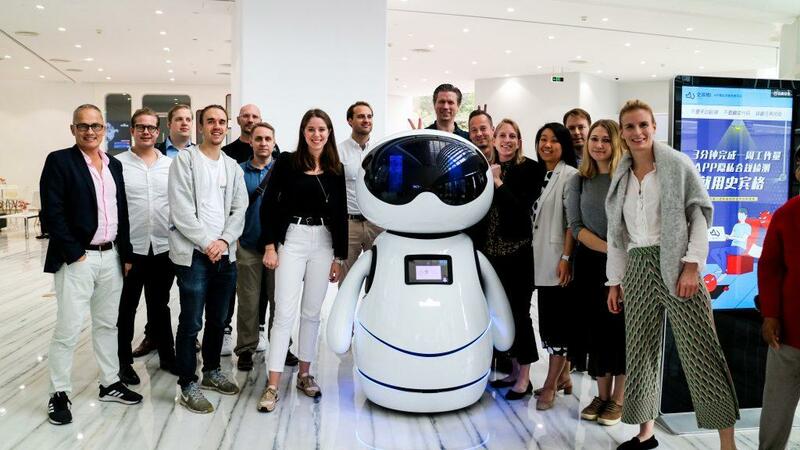 The purpose of the project was to help unite the AI community to better identify issues within the community, create a strong policy agenda around AI, and build stories around the AI community that can be used for promotion and internationalisation of the AI ecosystem. 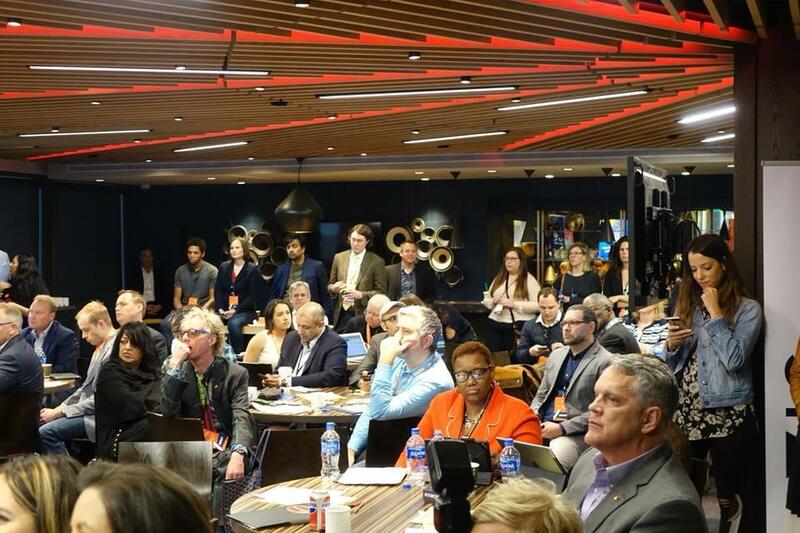 The roundtables were helped AI startups directly as they facilitated access to local talent, and were able to connect with local investors and stakeholders for collaboration opportunities. Join The Nordics project is a peer-to-peer marketing platform where selected international tech talent simply share their story to their network on Social Media and offer assistance to the partner regions in the Nordics, who are looking for talent outside the region. 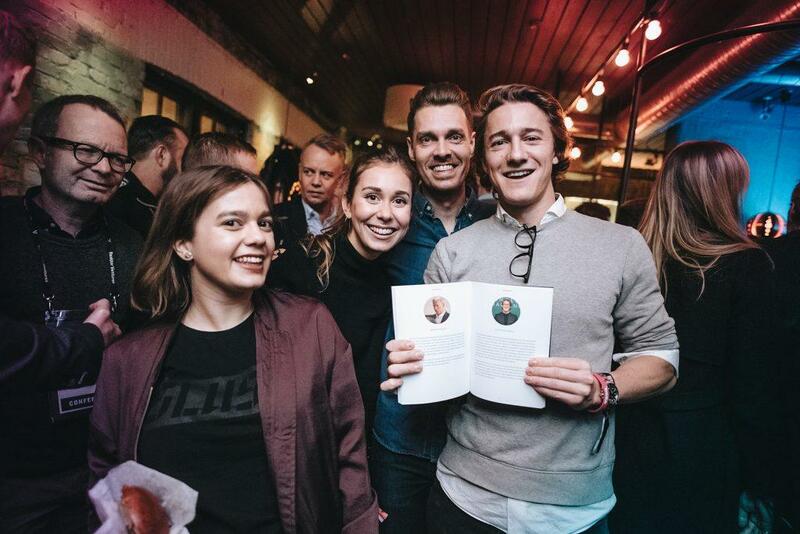 Together with the first project, Nordic Talent Ambassador, they collectively received more than 90 applications, among which 34 ambassadors were selected. The selected ambassadors are for example from Mexico, China, Australia, USA and India. They succeeded in channelling thousands of visits to the campaign website jointhenordics.com through social media. 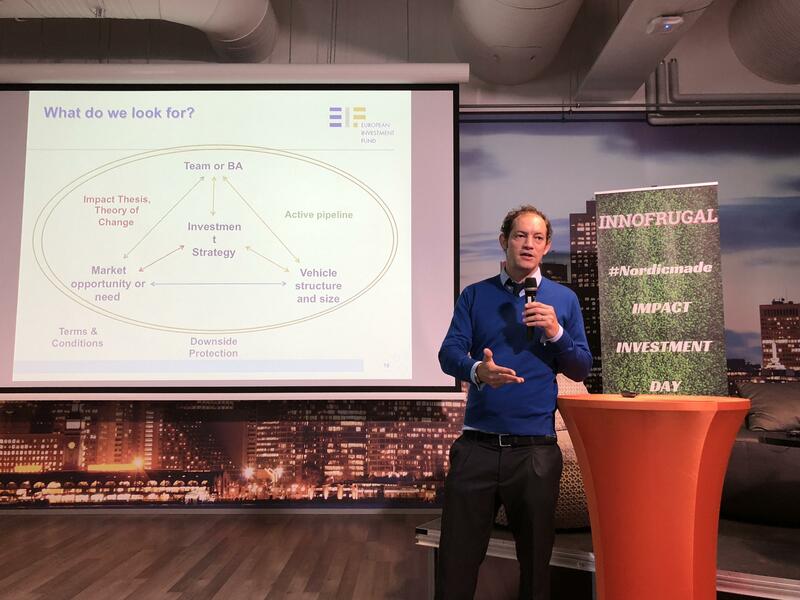 The project showcased and developed solutions for the impact investing ecosystem in the Nordics. This was especially led by startups while the event also connected the companies with networks not just from Nordics but also globally. 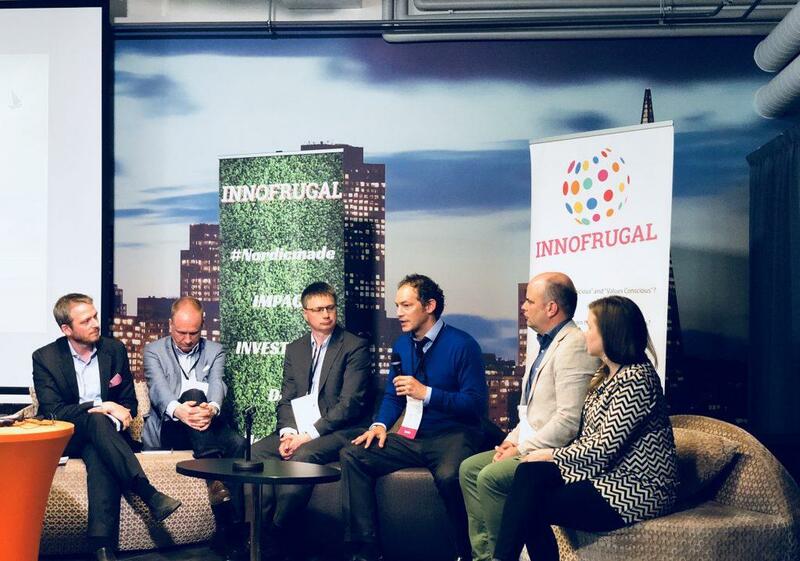 Investors, startups and related actors from Finland, Sweden, and Iceland were brought to InnoFrugal 2018 conference in Helsinki and Katapult 2018 conference in Oslo. The project helped startups and investors learn how to identify and measure impact metrics via hands-on workshop. 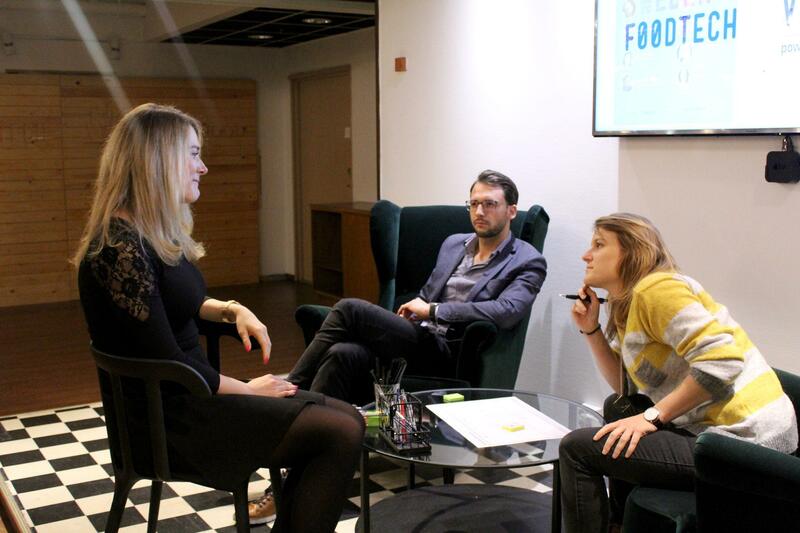 Valuable interactions were made between impact investors and Nordic startups. The focus lied especially in helping the companies with go-to-market strategies outside the region. The current deal flow is limited to who knows who and trust to share innovations ideas and sharing deals with. Therefore, by creating an overview of venture and investments expertise in the region, this project aims to build a yet stronger innovation and tech community. The platform will provide a geographical map over all the Nordic countries and contain information about where to find different tech-industry clusters, incubators, events, current angel networks, educations and existing venture capital firms. The platform will save time and money for the investor looking for new investment targets.